A menstrual cup is a device used by females for menstruation purposes in place of tampons and sanitary napkins. In Africa, many young females are forced to discontinue their education when menstruation begins, due to an inability to pay monthly for sanitary products. 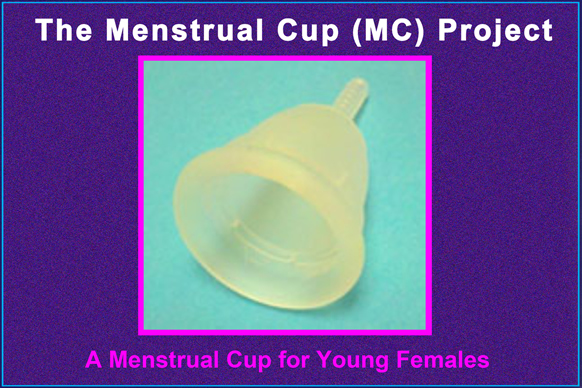 Unlike tampons and pads, the menstrual cup has a long duration. In many instances, a menstrual cup may last up to five years, some brands last up to ten. In 2012, Valvisions Foundation sponsored a pilot program in three East African countries (Uganda, Kenya and Rwanda), to support women suffering from obstetric fistula, one of the medically-related complications of FGM. The fistula-support program was inspired by the suffering and courage of an American woman living in Colorado, USA. Having been diagnosed with fistula-related chronic incontinence 16 years ago, Nancy was able to manage her incontinence with the use of the menstrual cup. The cup, though not a cure, offered Nancy tremendous relief by allowing her to go out in public and participate, once again, in normal life activities. After documenting Nancy’s story, Valvisions Foundation undertook a survey to evaluate the effectiveness of the menstrual cup in the management of urinary incontinence amongst African women with fistula. The cup offered relief for many women who, like Nancy, were imprisoned within their bodies. Today, Valvisions Foundation regularly receives calls from Kitovu Hospital http://www.kitovu-hospital.org/ in Masaka town (Uganda) when women arrive at the vesico-vaginal fistula ward and appear to be candidates for the menstrual cup. A number of women have been able to use the menstrual cup effectively before or after attempts to surgically correct their fistulae. Over 100,000 women suffer from obstetric fistula in Uganda alone; the condition plagues hundreds of thousands more in poor countries. 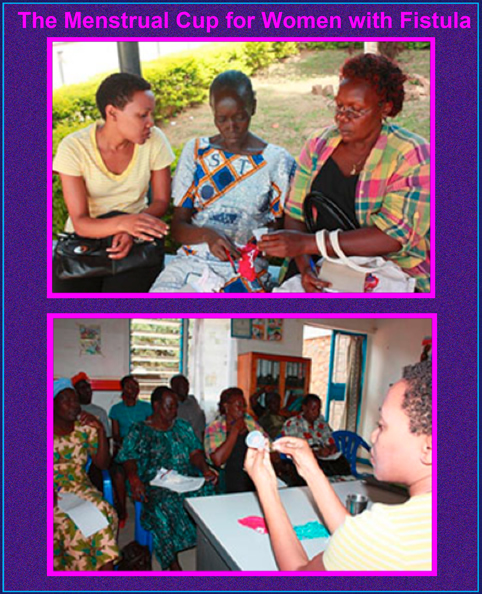 In 2013, Valvisions Foundation started another Pilot Project to introduce the menstrual cup to female prisoners in Uganda. Most of the women prisoners are unable to afford the monthly costs of menstrual products. A menstrual cup, which may last several years with proper use and maintenance, can offer a near perfect solution to this problem. As such, Valvisions Foundation introduced the idea to Uganda prison officials and has since embarked on a collaboration to assess the safety and effectiveness of menstrual cups in a prison setting. There are several thousand women in prison who stand to benefit from this intervention.